The Sigman Brothers venture into unexplored territory in their new musical “Mountain Charley”, based on one of the most fascinating tales of the Old West. 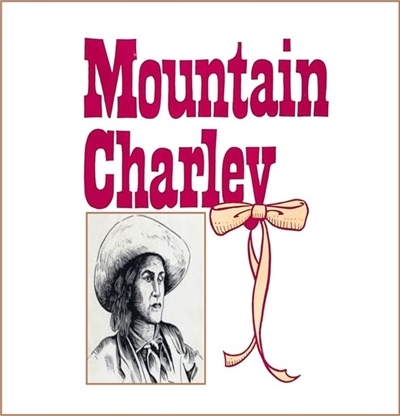 Mountain Charley is the amazing and true story of an adventurer who mined Pike's Peak, led wagon trains out to the edge of the frontier in California…and just happened to be the mother of three young children! Faced with the need to feed her family and track down the cold-blooded villain who killed her husband, this remarkable young woman assumes the identity of a man to make her way in the world and see that justice is done. Her story is a message of courage and determination that may be even timelier today than it was over a hundred years ago. Mountain Charley is an inspiring show for the whole family told on a grand scale and filled with glorious music, unforgettable characters, innovative staging, jaw-dropping sets and toe-tapping choreography. You will want to see it again and again! All setas $20. Student & Senior Discount at the door! There are no upcoming schedule event times. Please check again soon! *All sales final. Unless show is cancelled. (c) 2017 mainstagetix.com All rights reserved.